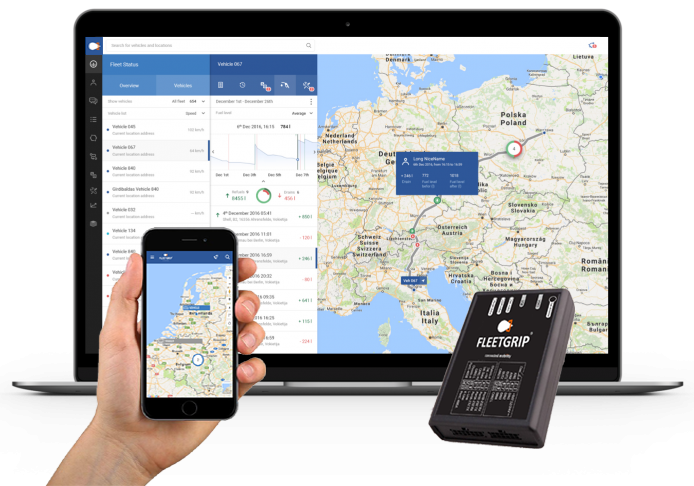 FleetGrip delivers brand- and platform independed solutions in the field of Sensor Technology, Internet of Things and Telematics. For vehicles, fleets, assets and mobile workforce. Predictive maintenance analysis, diagnostics, alerts and realtime information. We develop innovative concepts and cost saving ideas. Based on user friendly, proven software solutions and high quality hardware components. We genuinely care about customers and are dedicated to serving them well. We learn their markets, understand their specific goals and objectives, and develop mobility solutions that deliver business value.